In 1996 Jeff Rhodes created Coastal Craft Welded Aluminum Boats Ltd. with a vision to design strong, safe and hard working aluminum boats. The early boat design was focused primarily on the needs of the work-boat industry. Small commuter boats, crew boats and water taxis were in high demand and Coastal Craft established an excellent reputation for building and servicing the most reliable vessels to navigate the rugged west coast. 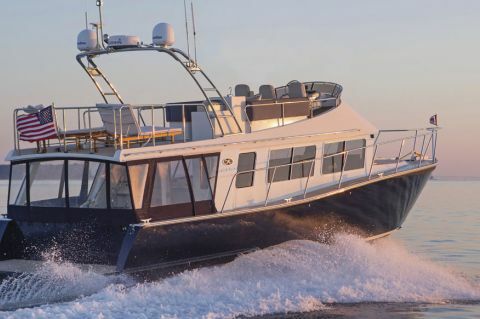 It was the hand made quality of the boats, and the attention to each individual customer’s needs, that quickly transformed Coastal Craft into a highly respected builder. 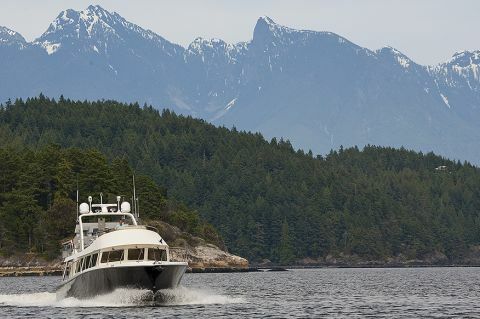 Through word of mouth referral came demand for larger vessels, built with an equal focus on luxury, and the same commitment to safety and reliability. 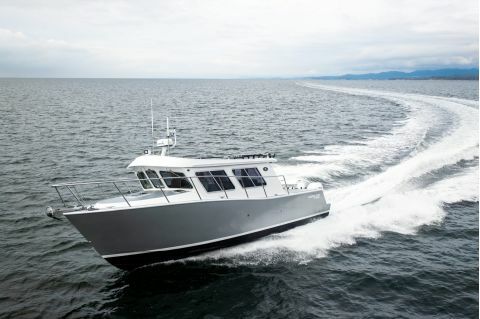 Almost twenty years later, the company and its now-renowned manufacturing process, have raised the bar, not just in the aluminum boat industry, but in the small yacht industry as a whole. The new streamlined model 45 i, as well as 2014’s celebrated launch of the 65 Concord, described by Pacific Yachting as a “mini mega yacht”, have been game-changers for Coastal Craft, and for the serious yacht aficionado. Constant innovation in materials, technology, manufacturing process and design continue to garner Coastal Craft the highest marks for quality, performance, reliability and safety. 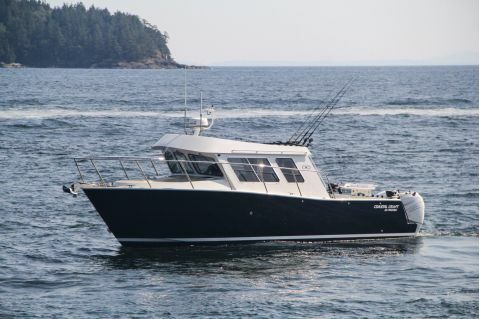 Coastal Craft Boats are recognized for their custom, hand built quality and attention to detail. 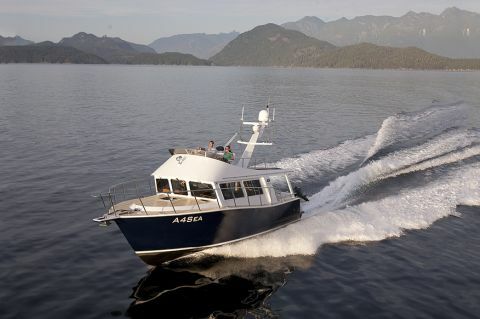 Every boat is hand made, right down to the cabinetry, in our shop in Gibsons, BC. We control every aspect of the build, work with the highest quality systems and technology, and deliver yachts that perform beyond any industry norm. To quote from a recent review, [the Concord 65], “is unlike anything in its size range. It deserves designation as a mini mega yacht”. This is the result of our vision: offer the highest quality products, maintain exemplary corporate practices, and be a strong partner to customers, and future customers for years to come.